Let’s Make a Case for Fall! 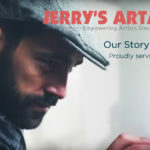 We at Jerry’s Artarama get pretty excited this time of year. Art lovers across the country should know that Fall is the best time for Art. Outside, a crisp breeze is blowing and the leaves are turning the best colors. 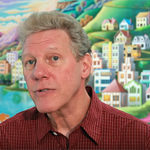 For of each of us, it’s time for us to get excited as artists, because as we all know, Fall is the best time for art! Right now is the perfect time to get outdoors and paint en Plein Air. For once you don’t have to worry about the heat and you can paint without the sun being too bright, the air being too cold like in Winter and the air is crisp unlike in Spring when it is full of pollen. And you can carry less water with you, either for drinking in the heat or misting your paints. It is objectively the best time to paint outside. Here on the east coast, people flock for hundreds of miles to see the leaves change in the northeast, Smokey Mountain National Park and Shenandoah National Park. People love the colors. They are rich and bright and beautiful this time of year. So why not pull out your reds, yellows, and siennas and start painting. Fall is the season for art shows. In New York City alone, the MoMA is featuring a show on Henri Matisse through the winter, the Metropolitan Museum of Art is running an exhibit megashow featuring El Greco and there are over 25 more shows happening in the various museums this fall. The Museum of Contemporary Art Chicago is running an exhibit called David Bowie Is through January 4th. Fall is a hot time for new art so make sure you get out to your local art museum and see a variety of new exhibits. Feeling inspired by all of the Art Shows of Fall? 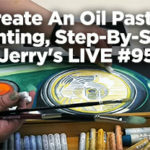 Show off your own work in Jerry’s Fall Painting Contests. Jerry’s is running two contests right now through December 31st where your best work can win you $2,250 in prizes! Jerry’s has partnered with Matisse Derivan and SoHo Urban Artist to create two painting contests for all of our artists to show us what they’re made of this Fall. 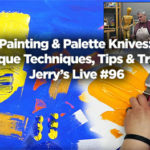 Between the Back to School Savings and our Black Friday/Cyber Monday and Holiday Sale savings, Jerry’s saves the best deals for the best part of the year for creating art. 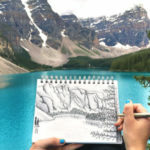 Whether you are just getting inspired to start Art or you’re a seasoned professional, Jerry’s Artarama has the best deals for getting more out of your art supplies. Fall is the game changer for artists, so grab your art supplies and get out there before Winter hits and White becomes the color most used on your palette for a few months.